Saifi Village is Solidere’s first and major residential complex. Completed in 2000, it comprises 16 new buildings forming four clusters falling respectively along Said Akl, Ariss Kanafani, Gouraud, Mkhallissiyé, Charles Debbas and Georges Haddad streets. The buildings have a maximum of seven floors, and the 145 apartments are divided into two per floor ranging from one to four bedrooms. Benefiting from underground parking facilities, the apartments ally modern comfort and security, elegant interiors and high-quality finishes. The project includes 3,300 sq m of commercial space and provides around 420 underground parking places. buildings, the design gives the impression of small-scale street architecture built up over time, thus reinforcing the sense of place. Soft pastel shades reflect the color palette used on the restored buildings. An atmosphere of residential peace and serenity is conveyed by landscaped gardens, courtyards, paths and pedestrian streets. Brick paving and fountains, seasonal shrubs and flowers, wooden benches and children’s playgrounds provide the tree-lined narrow streets, public squares and gardens with an appealing and communal character. The area is serviced by a nursery school and several shops and restaurants. 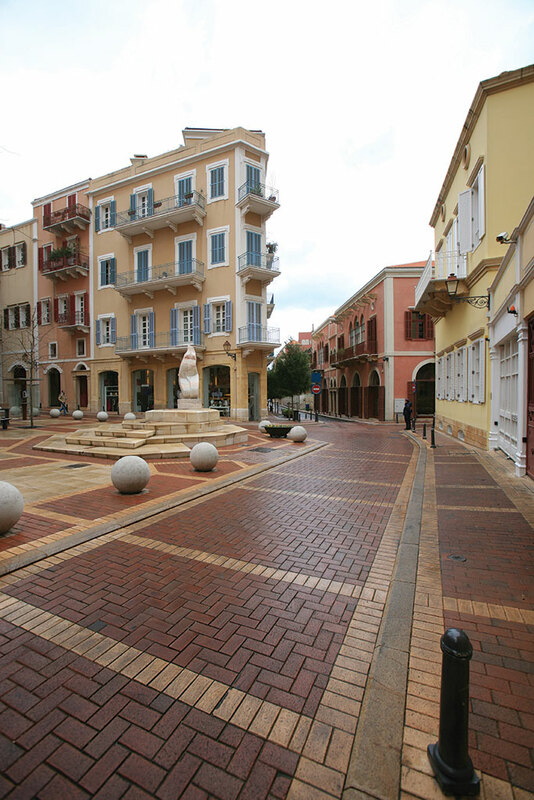 Adding to its charm, Quartier des Arts was inaugurated in 2003, with a cluster of designers’ and art galleries, antiques and artisans’ shops, delicatessen stores, decorative art and beauty specialist boutiques.